In early 2014 it had emerged following multiple reports in Italian media that Privilege Yard, a shipyard based in Civitavecchia was in financial distress. These reports of unpaid wages might have gone unnoticed if it wasn’t for the 127m project the shipyard was working on at the time. The P430’s construction started in 2008 with financial backing from the yacht’s future owner and a consortium of five Italian banks. The yacht’s construction was taking place at a 65,000 square-meter facility in Civitavecchia that Privilege Yard spent close to €40 million on according to Il Sole. At the time, the shipyard claimed it had near 1,300 employees and 9 orders for yachts of similar sizes lined up. The effort was led by Mario La Via, an Italian entrepreneur involved in the construction of several yachts, the most notable of which was the Kingdom 5KR (largest yacht in the world at the time of launch). Designed by Abdeslam Laraki, the P430 was expected to be launched by the end of 2012. In December 2012, it was however divulged that one of the banks (Banca Etruria) had encountered problems and put a stop to the project’s financing. The shipyard had received a loan of €100 million from these banks according to Repubblica. The project was later self-funded by La Via, according to a statement by the shipyard, but construction eventually stopped in March 2014. The gates were then reported to be locked at the shipyard in June 2015 by the Court of Civitavecchia after the company failed to settle its €210 million debt. The next development in this story came in June 2016 as the first auction came to a close without a buyer. The starting price was set at €94 million for the shipyard’s facility and its assets, including the P430. Italian-based shipyard CRN founded in 1963 by Sanzio Nicolini in Ancona and now being a part of the Ferretti Group which is owned by Chinese enterprise Weichai Group (86.2%) and the only living son of legendary Enzo Ferrari – Piero Ferrari (13.2%) unveils the AlfaRosso concept – explorer yacht designed by Francesco Paszkowski Design, available in three lengths – 45, 50 and 55 metres – with a gross tonnage from 499GT for the 45m model. Designed for an owner who loves long voyages of discovery to remote places. The stern, lower-deck, and main-deck areas on typical explorer yachts, are normally technical areas, but on AlfaRosso they are designed for guests to savour the sea to its fullest extent. 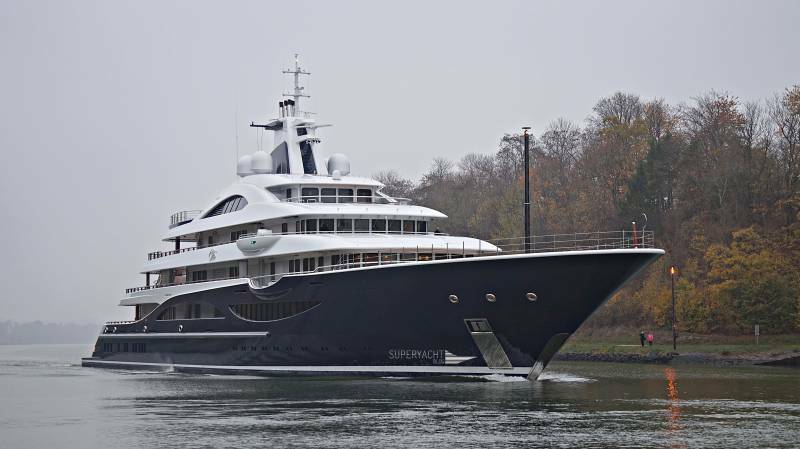 Shariah courts in Dubai have dismissed a claim from Ms Akhmedova to seize the 115-meter explorer yacht Luna. This comes following one of the UK’s largest divorce cases between the Akhmedovs. Extensively refitted since her purchase in 2014 by Farkhad Akhmedov, Luna built in 2010, remains one of the most iconic yachts on the water. 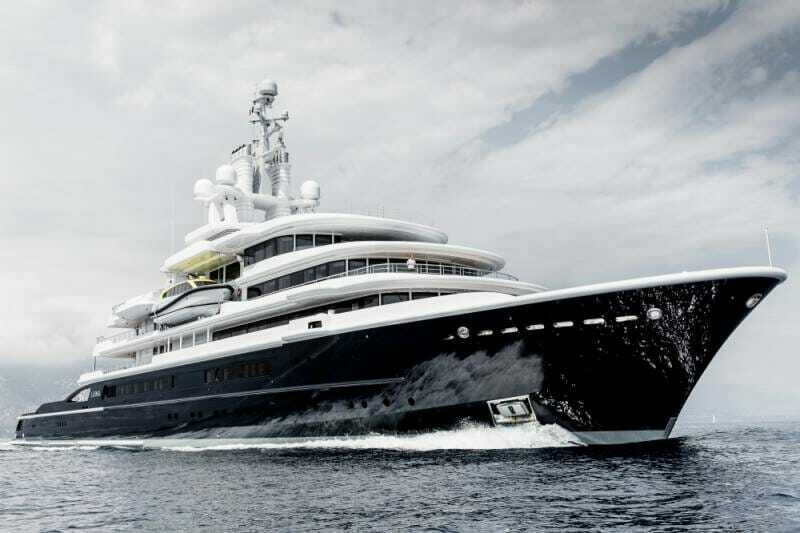 Following a UK ruling that Farkhad Akhmedov had to pay £453 million to his ex-wife in their divorce, Dubai Sharia courts have now dismissed the ex-wife’s claim that the UAE courts had a duty to uphold the ruling and seize the 115-meter superyacht. Courts have now ruled against a freezing order previously placed on the yacht. As part of the decision, Tatiana Akhmedova was ordered to pay her ex-husband’s legal fees. Previously, Luna was being held in Dubai since February while the proceedings were ongoing. 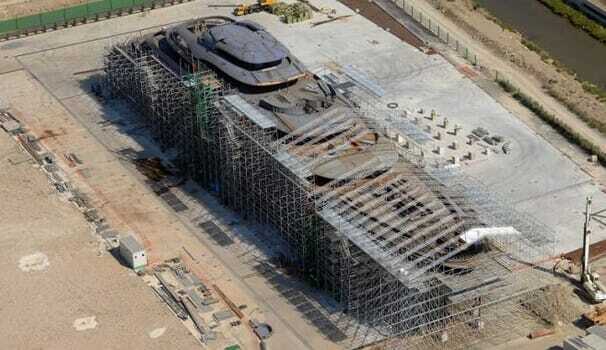 The yacht is now moored in Prince Rashid Harbour. The decision comes as Mr Akhmedov is petitioning against a UK divorce ruling that required the owner to hand over the boat to his wife as part of the settlement. 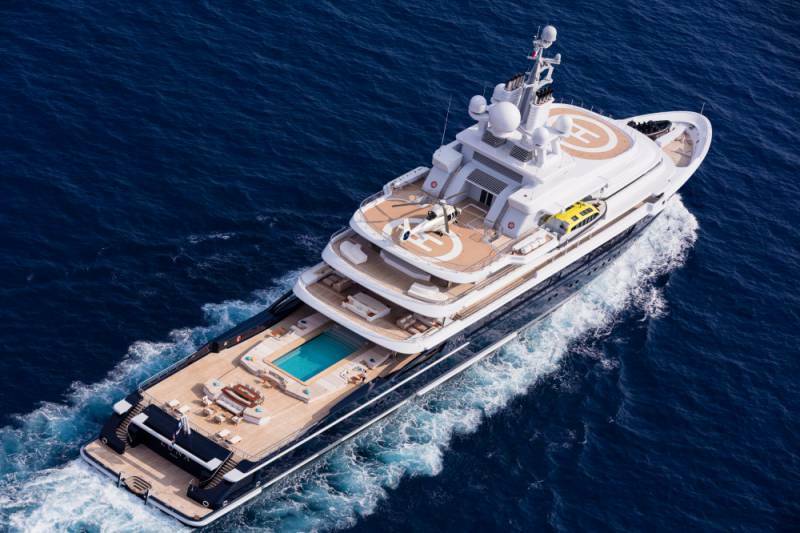 Built for Russian billionaire, Roman Abramovich, Luna was originally intended as a more sleek version of her owner’s existing explorer, the 113-meter Le Grand Bleu. 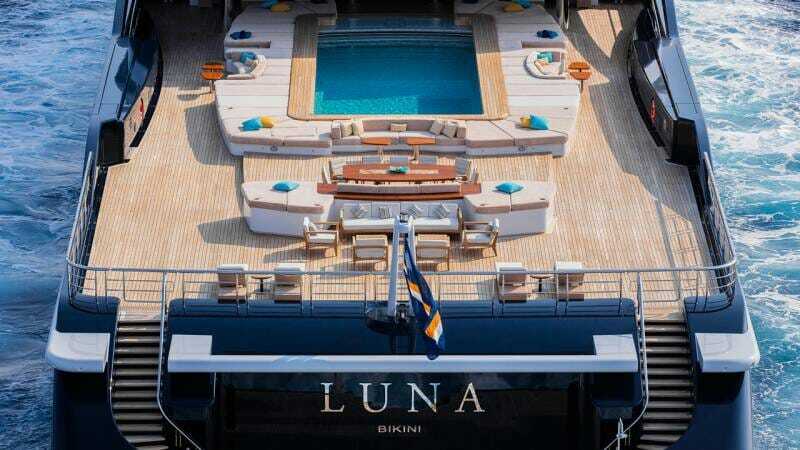 At the time of her launch, the swimming pool installed on Luna was the largest that anyone had ever seen onboard a superyacht. Luna’s current owner, which Forbes names as Farkhad Akhmedov, purchased the yacht from Abramovich in 2014. The man, valued at $1,3 billion by the magazine, later initiated a 14-month refit in Germany that gave the yacht a sleek exterior look and implemented several improvements on one of the world’s most iconic yachts. 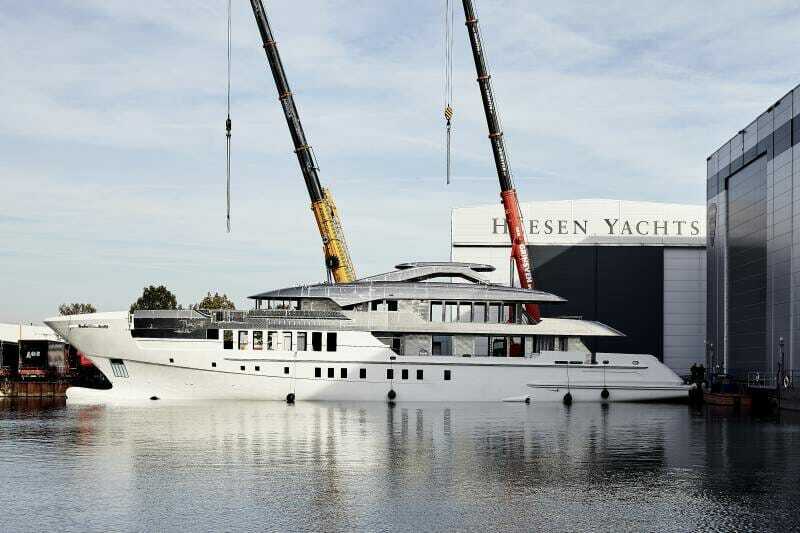 A dutch shipyard Heesen has announced that the hull and superstructure of Project Castor were joined together at the facility in Oss. 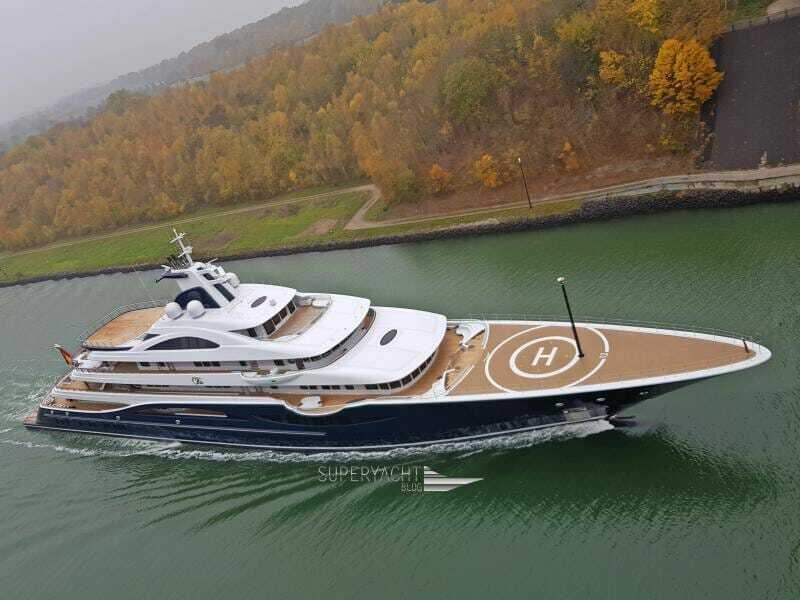 Castor is the fourth yacht in the 55m Steel Class, after the Azamanta being the world’s first Fast Displacement steel-hulled super yacht over 50 metres, Laurentia, which was delivered in 2017 and Project Antares. Project Castor features exterior lines by Frank Laupman of Omega Architects. 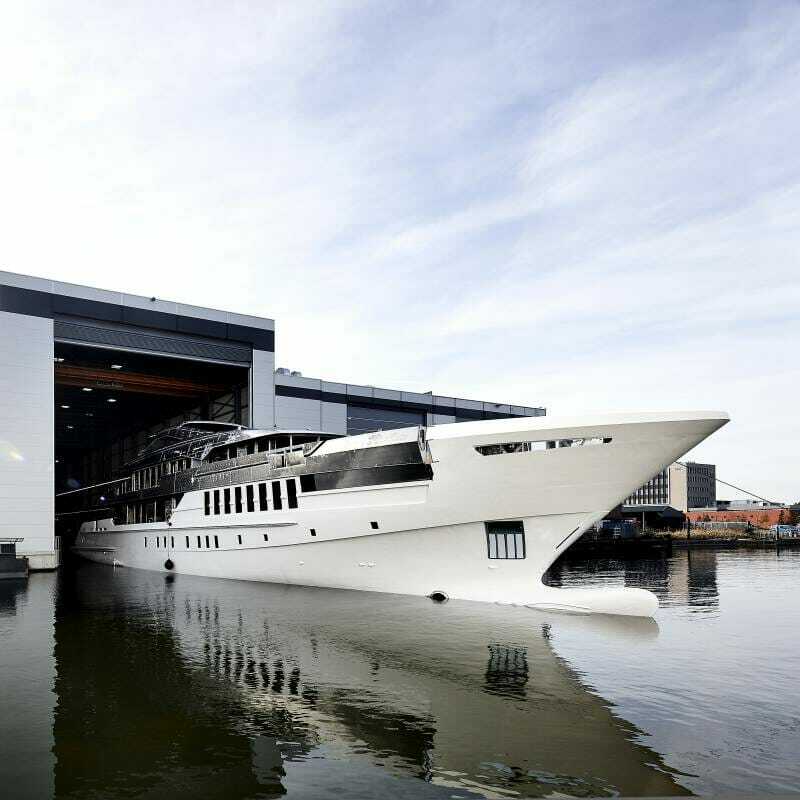 At 760GT, Castor is the largest by volume 55-metre currently in build in the Netherlands. Her interior comes from the boards of renowned design studio Bannenerg & Rowell, marking their eighth collaboration with Heesen. Project Castor features some innovations from her predecessors: a full-beam sky lounge, a larger master stateroom now measuring 73 square meters, and larger lower deck suites as the VIP has been moved to the bridge deck. Her contemporary Bannenberg & Rowell interior, which features signature woods and natural stones, draws on a subtle but warm colour palette which maximises the sense of airiness delivered by the generous interior spaces and the natural light flooding in from the floor-to-ceiling windows. Project Castor is available for delivery in Spring 2020.